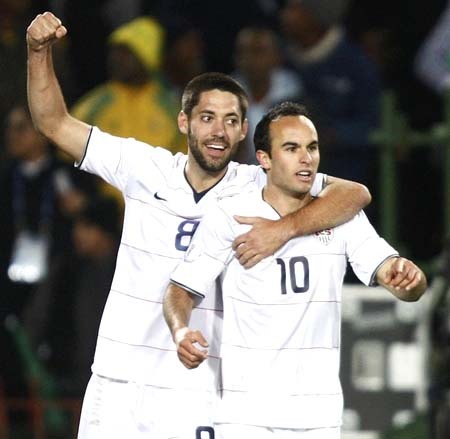 There are two aces in American soccer at the moment: Clint Dempsey and Landon Donovan. Both are at the pinnacle of their careers. Both have great goal-scoring track records, both in quantity and on momentous occasions. So can we really say one is better than the other? Yes and no. Yes, Landon Donovan has far more international goals than Clint Dempsey. He is the leading all-time scorer for the US national team with 46 goals. He has also scored in two separate World Cups (2002 and 2010), amassing a 5-goal total in 3 cups. Donovan has also been stellar with MLS sides San Jose Earthquakes (2 titles) and LA Galaxy (2 titles). His forays abroad, however, did not work out as many in the American soccer media had hoped. His time with Bayern Leverkusen of the German Bundesliga was limited and he showed very little with Bayern Munich during a loan spell in 2009. By contrast, Clint Dempsey has been successful abroad with 39 goals for English Premier League side Fulham since he joined in 2007. This is the highest total goals scored by any American in the Premier League. He surpassed Brian McBride earlier this month. Dempsey was also instrumental for the New England Revolution, helping it reach the MLS Cup final twice. Dempsey has had an important influence with the US national team. He has scored 24 goals and helped the US with several key moments including the third goal in the American's win versus Egypt at the 2009 Confederations Cup that sealed the team's improbable run to the semifinal. 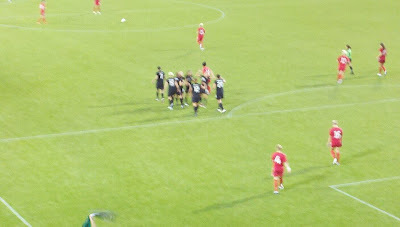 At the semifinal itself Dempsey scored the insurance goal in the 2-0 win versus reigning European Champions Spain. Another magical moment was the long-range shot that Rob Green fumbled into goal in the opening group match that pitted the United States versus England. This proved instrumental since the tie versus the English side would eventually lead to the Americans winning the group. Recently, storied American goalkeeper Brad Friedel commented about the Donovan vs Dempsey comparison and argued that Dempsey was a better player because of his success abroad. To his credit, there is a point to be made here: Dempsey has stayed in Europe and has been successful. Donovan, on the other hand, has only managed loans abroad after his failed stint as a youngster with Bayern Leverkusen. But wait a second. What about Donovan's loan to Everton in 2010? It was a major success, as the American provided important assists and scored two goals in only 10 games. 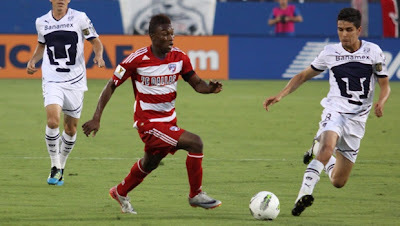 He is now headed back there for another two months during a short loan from parent club LA Galaxy. A permanent move is all but ruled out due to Landon's considerable asking price, but David Moyes has asserted that he would try to enable a move if the American ace were to inquire about a permanent transfer. So, to Friedel's credited apology, there is much to be seen still in this friendly competition between our two midfielder/forwards. Donovan is at a point in his career where going abroad is no longer necessary to "prove himself." He is already an American soccer superstar and one of the only few names synonymous with the sport in this country, mainly thanks to his clutch goal versus Algeria in last year's World Cup. Donovan is in a good place with MLS and can remain competitive for years to come without needing to step into other leagues to be considered for the national team. Dempsey, on the other hand, is quite content abroad and his life and game has profited from it. Is it really fair to compare our more important soccer stars? Not really. Both have taken different paths to stardom. Both are versatile attacking players that can change the fate of a game at any given moment. Dempsey and Donovan can both slide into the forward position if required by their teams and both are extremely creative players. 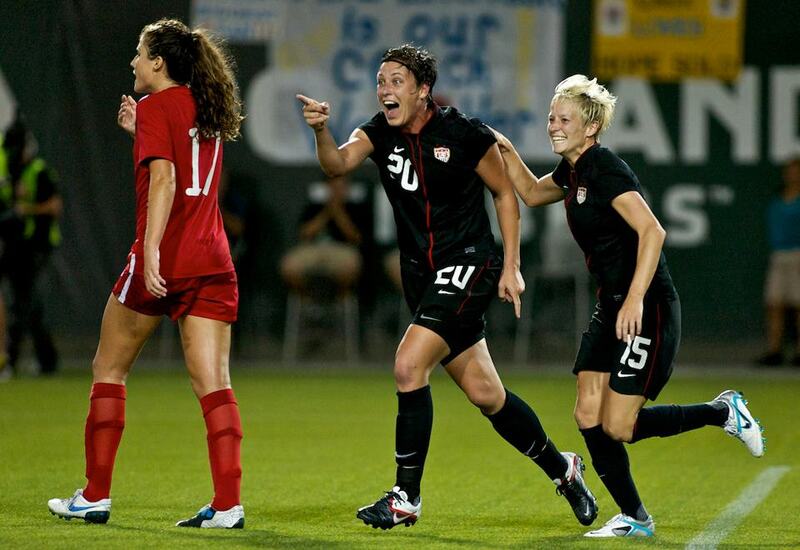 So let's step back and enjoy them for what they are: our American Soccer Superstars. The North Carolina Tar Heels defeated UNC-Charlotte in the NCAA College Cup final today by the score of 1-0 thanks to a superb Ben Speas "sombrerito" over the Charlotte goalkeeper. It was an all-North Carolina affair today after Charlotte dispatched reigning champions Akron and Creighton. UNC, meanwhile, defeated Indiana and UCLA (soccer heavyweights) on their way to a second NCAA Soccer Championship. The match was an enjoyable affair in which Charlotte dominated most of the possession and created the majority of the chances. Giuseppe Gentile, Beaulieu, and Thomas Allen all had a myriad of options. I was particularly impressed by Gentile. We can expect great things from him in the future. For the Tar Heels, Speas and Enzo Martinez were the shining stars in an otherwise highly-defensive affair for the Chapel Hill side. Goalkeeper Goodwin, UNC captain Urso and Jordan Gafa continuously blocked Gentile and Co.'s attempts on goal. They provided the defensive spine needed by the eventual-champions to unsettle the Charlotte onslaught. College soccer is a different kind of animal in the American soccer scene. First of all, it obeys its own rules: TV timeout, countdown clock, 10-minute overtimes, clock stoppage for free kicks and goal kicks. This is enough to get some soccer enthusiasts like my wife to question the validity of a system that is supposed to be the #1 feeder for MLS and the national soccer team. Indeed, words of wisdom. And yet, as with many other NCAA gaffes (BCS rankings, college bowls), little can be done on this front. We should simply enjoy it for what it is: a truly American flavor of the game and one that has given us stars like Clint Dempsey, Brian McBride, Tim Howard. Where would we be without College Soccer? At the 1st minute in today's Clasico one may have thought that Barcelona's dynasty was finally over. Benzema scored out of the locker room and Mourinho reveled in what would be a game-changing result. But as the match wore on, the resilience of Guardiola's squad slowly weathered away Real Madrid's defense. Alexis Sanchez scored and the floodgates opened. So what really happened in today's game? Is Madrid really still not good enough? Is Barcelona just too much for the world? A quick look at recent results shows that yes, Barcelona has hit a bit of a rough patch, but they still have only lost once. Madrid has not lost two. And at 37 points tied on top of the Spanish Primera, there is still plenty to be said this season. Note that Madrid has a game in hand, but today's result is truly game-changing: no real change, that is. Where Real Madrid has built a team around superstars Ronaldo, Ozil and Di Maria, Barcelona spreads the wealth by including newly-acquired Fabregas and Sanchez. No Villa or Pedro on the pitch? No problem. The former both bagged important goals to reiterate why Barcelona is still the best. Mourinho tried too much offense today. Benzema, Ozil, Ronaldo and Di Maria crowded the offensive side and passes lacked clarity and individual plays went nowhere. Higuain and Kaka only served the same purpose. The defensive midfield also put too much stock going forward. This opened the flanks for Dani Alves and the go-ahead and game-sealing goals were conceded. How does one beat Barcelona then? Midfield and defense. Crowding Messi and Iniesta can work wonders since it breaks up the "tiki taka" that makes Guradiola's squad so fun to watch. Pressure on Xavi means Busquets has to take the initiative on his own and his passing, although quite good, isn't as evolved as the rest of his midfield team mates. After this, the forwards are left without continuous service and the attack winds down. So can Madrid accomplish this? Yes. Diarra and Xabi Alonso are perfectly capable players. Sergio Ramos, Pepe and Marcelo can all work wonders. It should be about keeping Ronaldo and Ozil from over-thinking and allowing Di Maria to exploit the spaces. Benzema and Higuain are best when paired together and today Higuain still looked like a player in recovery. It was a fun match to watch. Keep in mind that both teams are still in the hunt for the Champions League and both have had their chances increase after the Manchester teams crashed out. This is why we love this sport, right? When the scoreboard in Old Trafford read 6-1 you thought "yes, United continued its dominance and tore another team apart." But wait. The scoreboard is reversed? 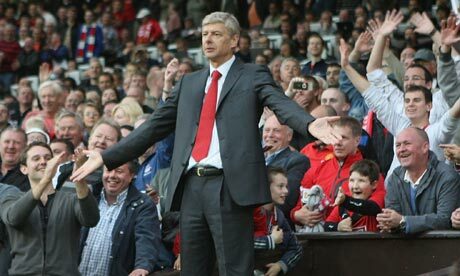 And to Manchester City? Fans, critics and commentators were left with mouths open, some in disgust, some in joy, some in sheer wonder. 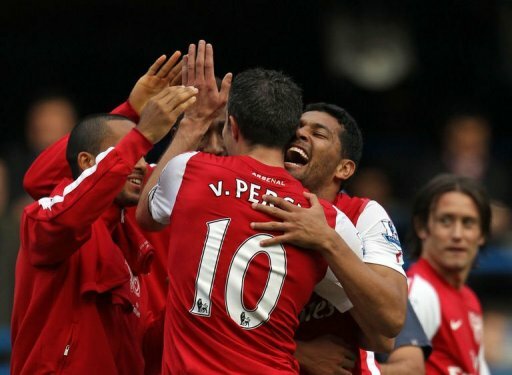 This was the team that had just beaten Arsene Wenger's Arsenal by 8-2 earlier in the season. And now the result was reversed. But how did today's game really happen? Several points come to mind. First, not all usual United stars were on hand: Valencia, Park, Vidic, Giggs, Hernandez, Berbatov. Some were inexplicably on the bench. 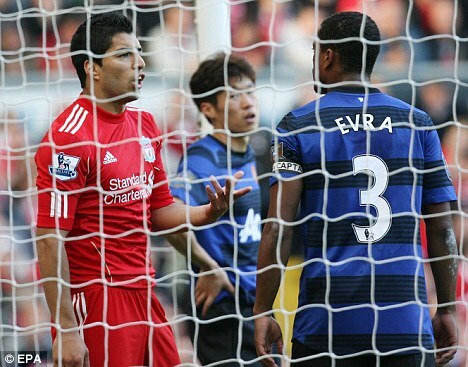 Evans got a chance to play in the derby along with Welbeck. No results. Indeed, Evans proved the opposite by getting ejected with Man City already up on the scoreboard. Chicharito would come into the match too late for heroics. 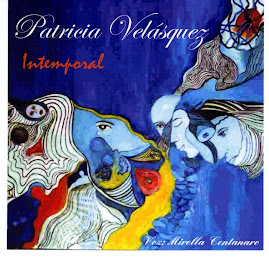 Park and Valencia never got a chance. There was also some disbelief in United. Perhaps a bit too much cockiness for players like Rio Ferdinand and Patrice Evra. 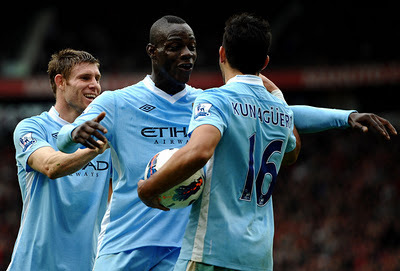 They weren't believing that Aguero and Balotelli could run rampant around them. Did they not care? They seemed almost amateurish, especially in Dzeko's goals. And the Bosnian was only a substitute. All in all, only the benched players and Wayne Rooney seemed to care. There's another side to this coin. Manchester City has elevated its play in the past three years through a mixture of style and stars. Some stars didn't quite mesh (Tevez, Adebayor) and some were troublesome (Tevez, Balotelli). But the spine of the team with Lescott, Silva, Toure, Milner, carried the team to a new sphere. It doesn't hurt that the Manchester City owners have deep Middle Eastern pockets. Today it was Silva and Milner's game. They dictated play by keeping the ball in midfield and gaining the upper hand in possession. Toure and Lescott marked United players higher up the pitch and controlled the flanks such that Anderson and Young had very few dangerous crosses. And up front, Balotelli and Aguero shined. Their shots were cruel and accurate. The passes that came to them from Milner and Silva were daggers into De Gea's area. And in doing so, they handed United their worst defeat at home in the Premier League era. Welcome, Manchester City. There's a new sheriff in town. 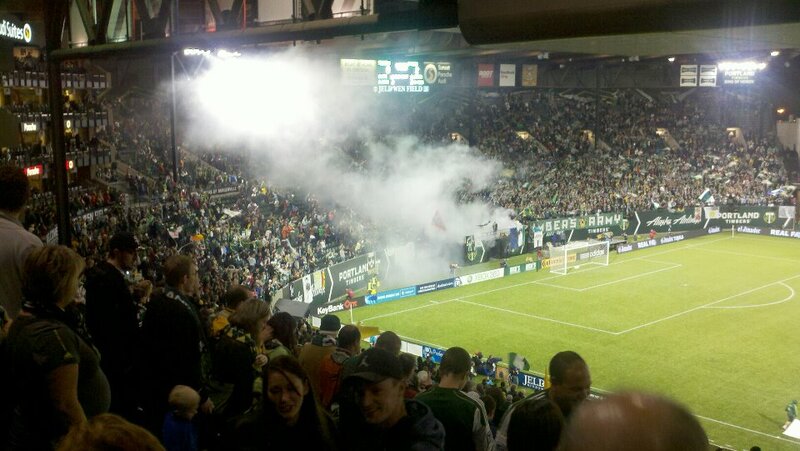 The Portland Timbers lost their final home game tonight. It was a bittersweet end to an incredible first season. From a 5 game winning streak at home, to their 1-1 tie at Seattle and their 3-0 victory over LA Galaxy, the best team in the tournament, to a terrible win-less streak at home, to being in and out of playoff contention, it was a whirlwind season. And no, it's not over yet, but the mountain is getting too high to climb at this point and they no longer control their destiny. As I reached the bleachers late, I could sense that there was purpose in Darlington Nagbe's play and Kenny Cooper waited to pounce in nearly every goal opportunity. But the final pass was not there today. Houston made the most out of its two chances. Two chances, two goals. Dominic Kinnear pushed his back line as far back as he could so that the midfield was elongated and congested. 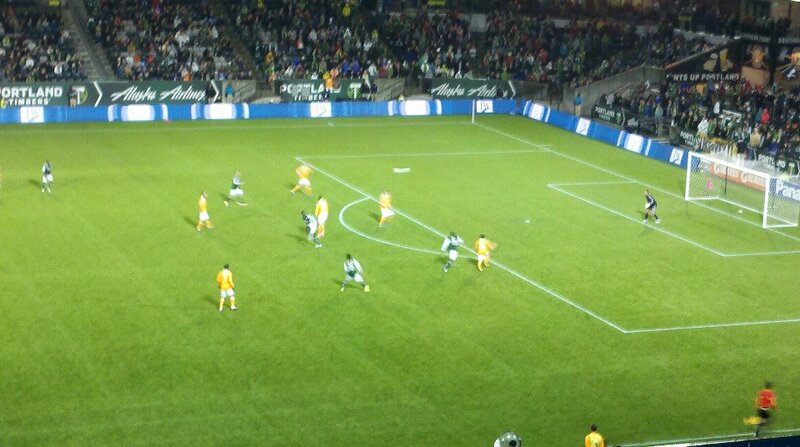 There would be few dangerous plays for the Timbers after Houston' second goal. Whether it was Zizzo's ineffectiveness, Chabala's injury, or Alhassan's loss of pace, the cards just weren't there for a Timbers win tonight. But let's celebrate the game for what it was: a testament to the soccer fever gripping the Pacific Northwest, to MLS' best idea since its inception, to the passion of the fans, young and old, male and female. Let's toast to the Timbers Army's fight chants even in defeat, to Timber Joey showing off his saw although no timber was cut, to the inebriated pair behind (and in front) yelling at the ref, to the older couple cheering or covering their mouths in agony with every kick, to the toddler smiling at his surroundings as his caring parents chanted for their team, and to all the kids decked out in full Timbers gear, dreaming about being on that pitch someday. This why we go to stadiums. When I root I root for the Timbers! The year I went off to college my mother gave me an unusual gift: a series of obscure soccer magazines. They were specific to Conmebol (South America's soccer conference), and more importantly, strictly for the press. As I read through them I learned about the history of Conmebol and of its most important club tournament: The Copa Libertadores. But why should I get this gift? Mother told me they came from my uncle Mauro, a world-respected soccer journalist, friend of the legendary Garrincha and a fan of Barcelona Sporting Club of Guayaquil, Ecuador. Perhaps he knew of my love for the game. It must have been so because I have over 20 cousins on my mother's side and yet the gift was especially for me. Up until that point, I had been to only a handful of futbol games. And yet he knew that following the beautiful game was one of my passions. Regardless of the reasoning behind the gifts, my passion for the game grew stronger through the years and it led to this blog, my twitter account, and a distinct proclivity towards US Soccer and MLS. I saw my uncle once again a couple of years back. He somehow knew that what I wanted was to discuss the game and to see his significant soccer library, his notes about soccer players, his relationships with individuals and his philosophy about soccer. "I follow the players," he said. And then I realized that so do I. It's not just about the games for us. It's about a player's tendencies, reactions and personality on the pitch. This post is to honor a legend in the soccer media. 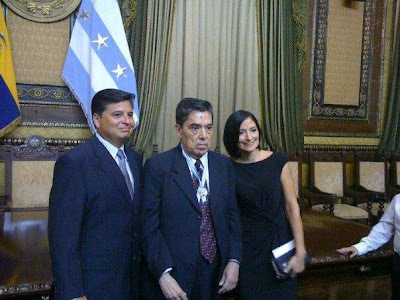 Mauro Velasquez Villacis was recently awarded the "Most Illustrious Citizen of Guayaquil" award. 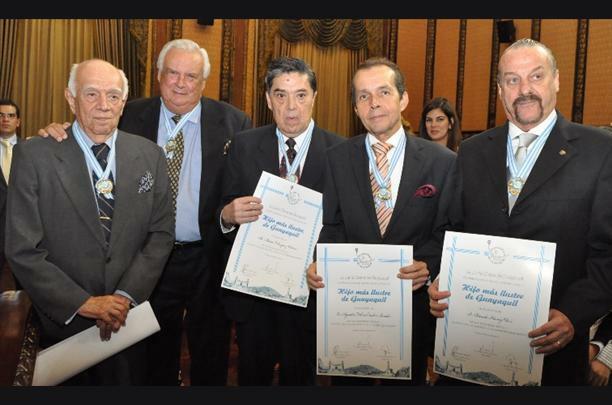 It was given to him for his dedication towards sports journalism in Ecuador, for what he brought to the history of his country and the world at large, for the honesty and directness he employed in his work. They called him the "human computer" for his otherworldly wisdom, and most of all the award was given to him for his kindness and decency. He is an example for future generations in an age in which the public is increasingly critical of journalism, something that in his case is completely the opposite. He received an extended standing applause and was humbled to receive the award. 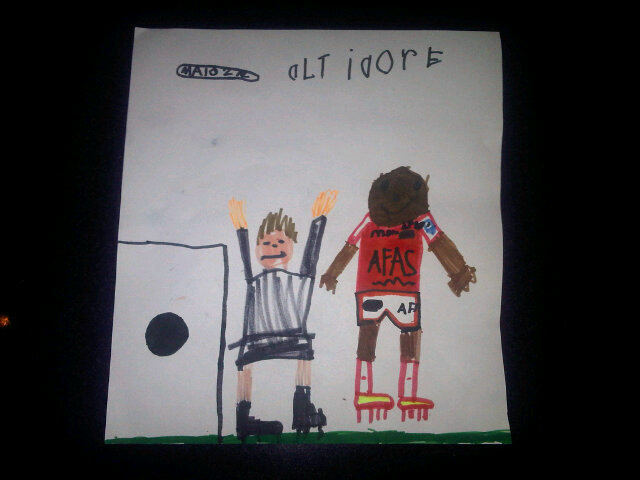 His soccer language is as sophisticated as the use of his Spanish. Quoted by many. Respected by most. An icon in my life. It was hard to cheer for either team tonight. For some of us, one is the country of birth and the other the country you live and love. As I had told my peers, I'd rather have a high-scoring tie. It was almost a tie. Almost. The young blood in both teams decided the match tonight. 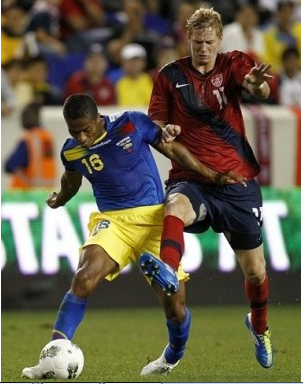 Jaime Ayovi, the future of Ecuador, had the better of Tim Ream, the up-and-coming center back hopeful for the USA. It was another 0-1 loss for the Americans. The match was certainly 60% American. They pressed in the first half with a dangerous Shea and Williams. Edu pushed up to be the box-to-box player that has seen him blossom in Scotland. And Onyewu, the longtime partner with Bocanegra is certainly back. 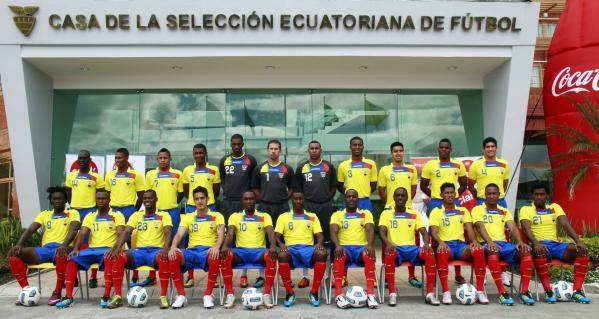 For Ecuador, the stars were Jaime Ayovi, Jefferson Montero and Michael Arroyo. They were dangerous throughout the night and could punish you with any open chance. Benitez was around to clean things up in the front line while Castillo and Mendez held steady in their center mid positions. Valencia had a bit of an off game today after a great performance in World Cup qualifying against Venezuela. He was substituted due to his ineffectiveness. How does Klinsmann answer his critics after tonight's match? "Tim Ream." Yes. Switching the youngster for the experienced Bocanegra so late in the game changed the nature of the defense and his touch was as off as it has been for him with the Red Bulls this year and during the Gold Cup. Perhaps George John and/or Omar Gonzales are better options. If Klinsmann really want possession and passing from the back, however, Ream is still top choice. And this is something that will haunt Klinsmann throughout the next 3 years because--let's face it--Cherundolo and Bocanegra will be much older (35) at the 2014 World Cup. One veteran in the back line, possibly Onyewu, should be enough. The American's other worry is the goal. Who's scoring? Looks like it's still the midfield and only by a tenuous thread. Dempsey got the game-winner versus Honduras over the weekend but there has been no production from Altidore, Agudelo and Buddle. Who can he call next? Is there anyone else? But we can also argue that Jozy did not have the full time to get something going with the increasingly-dangerous Shea-Williams tandem. Charlie Davies and Freddy Adu, you may get a phone call soon. For Ecuador, their back line is holding up through communication and the presence of Walter Ayovi. It can be argued that the fact that they all play in the Ecuador league, and more importantly in Quito, may be what the team needs to keep the Atahualpa unbeaten in this World Cup cycle. Seattle won the Open Cup tonight. Three-peat. Plain and simple. The team knows. The league knows. The country knows. Then fans know. 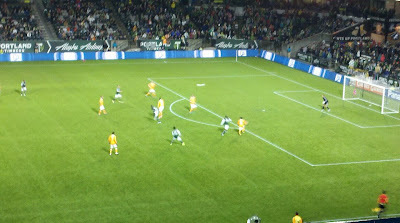 From ball possession to Montero's opportunistic goal to Alonso's magic. It was the scintillating style of a champion team. But is it a dynasty? Seattle has a monopoly on the Open Cup at this point. From the moment they defeated DC United in their inaugural season to the sellout record-breaking crowds, it was clear that the Sounders wanted this tournament as their own. And why not? 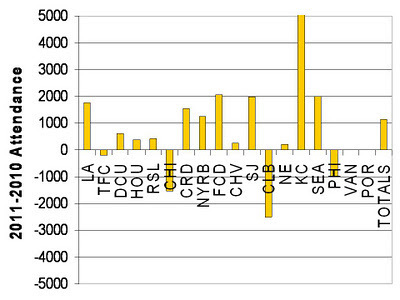 Through the last decade, the Open Cup has been more of an afterthought to the majority of teams in the league. This season alone, the New York Red Bulls pulled all of their starting players from quarterfinals. Really? Yes. And that's why Seattle's ownership of this tournament is important. It gives them credibility and a place in the Concacaf Champions League. And that's the other piece of information that most are overlooking. The CCL is likely to gain importance as Concacaf places more emphasis and perhaps reduces the importance of Conmebol's Libertadores. Seattle is now in place to not only make important gains in the quarterfinals next year, but also have now earned a spot in the 2012/2013 edition of the CCL. 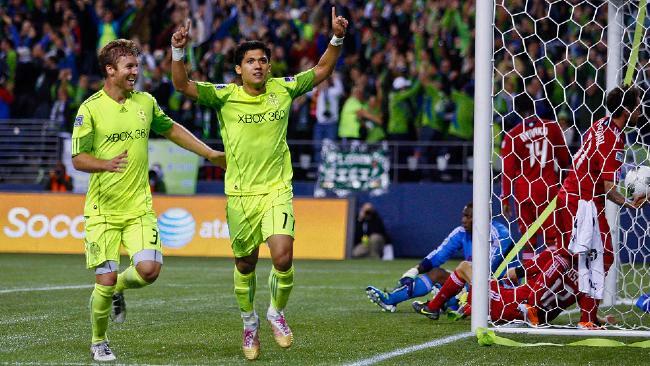 Seattle's play was emphatic of the importance of soccer in the Pacific Northwest. Sigi Shmid has built a squad from the ground up with a clear attacking style, young designated players, and a way to make their crowd, their 12th man count. Ultimately, that's one of this team's strongest points. 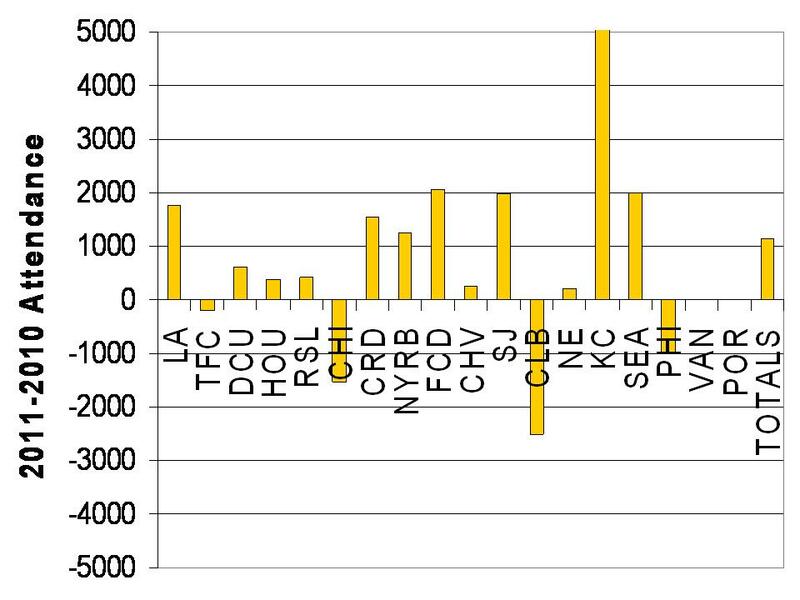 Their attendance numbers carry the league and are reminiscent of European squads. No empty seats. Just screaming fans urging for their Montero and Neagle and Alonso to score. And it showed tonight. 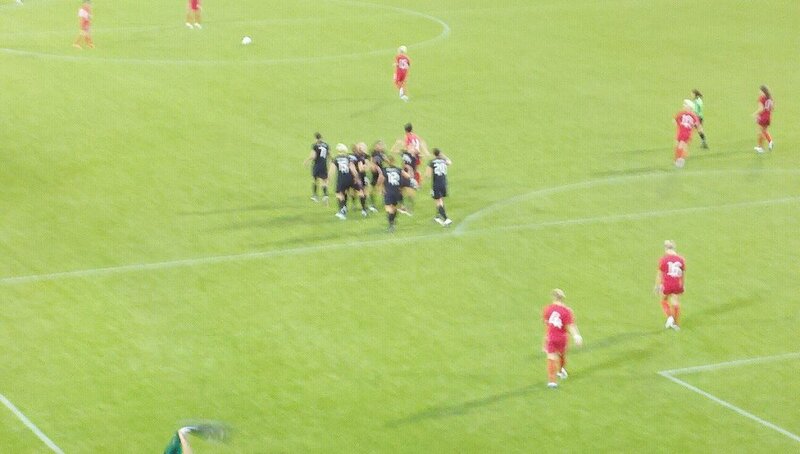 Seattle's strike in the 95th minute came about as a great pass to a streaking Alonso. He evaded one, two, three players, a goalkeeper and struck it home like a Donovan or a Messi would do. Well done, Seattle Sounders. The Open Cup is your cup and your dynasty. The last three years have seen a new breed of American soccer player in the US national men's team: German-born Americans. Chandler, Jones, Johnson are all obvious American (Anglo-Saxon) names. In this case we are talking about Timothy, Jermaine and Fabian. They happen to all play for the German Bundesliga (first division) in established teams: Nurmenberg (Chandler), Shalcke 04 (Jones) and Hoffenheim (Johnson). The latter has been invited to the upcoming international friendlies against Costa Rica (Sept. 2) and Belgium (Sept. 6). This German connection comes full circle with the recently-appointed US coach Juergen Klinsmann. The players are the sons of servicemen that were, at some point, stationed in Germany, and whose mothers are German natives. Such is the case of Jones and Chandler and also the legendary Thomas Dooley. These players represented Germany in their youth squads but ultimately decided to play for the senior US team since they didn't suit up for the European team in an official tournament, per FIFA rules. The recent inclusion of these players has payed high dividends for the Americans. Jermaine Jones (age 29) was able to use his considerable talent with Champions League background to muscle the United States into the Concacaf Gold Cup final. He has replaced Ricardo Clark and Maurice Edu in the central holding midfield role alongside Michael Bradley. 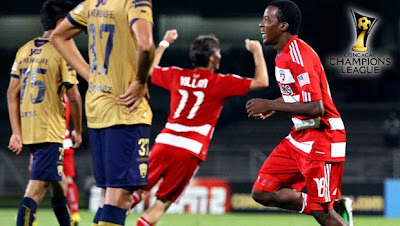 Jones scored one goal for the US in the Gold Cup (later deemed an own goal by the Jamaican defender). His play has been limited recently due to an uncertain club future and he didn't have a good match in the friendly versus Mexico earlier this month. Timothy Chandler has had a love/hate relationship, mainly with the fans, after having an impressive debut against Argentina in a friendly in March as well as a second game versus Paraguay. His speed and ball skills made him a fan-favorite to play backup to Steve Cherundolo or provide a change of pace as a winger. His absence during the Gold Cup (recovery after first season in Bundesliga) and the Mexico friendly (desire to play for a starting spot with Nurmberg) caused many fans to question his allegiance. Subsequent communication with him and his club coach confirmed that he still wanted to play for the USA and that he would suit up during the September friendlies. 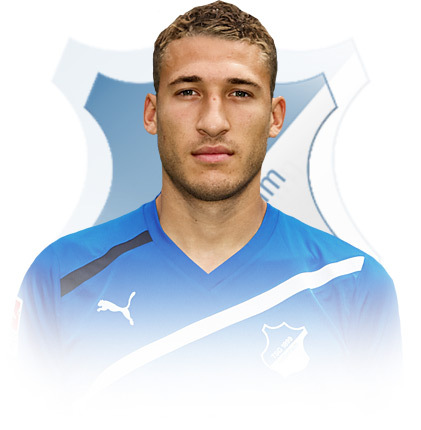 Now comes Fabian Johnson, recently transferred from Wolfsburg to Hoffenheim and having an impressive start with his new squad. It was just days ago that www.soccerbyives.net first posted that Johnson was interested in representing the US. 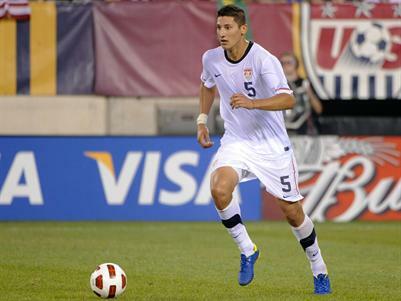 Now we will have a chance to watch him to see where he fits in the crowded midfield of the US national team. It should be noted, however, that he can double up as an outside back. Klinsmann has chosen to continue his search for "latin" talent in the form of Mexican-Americans (Orozco Fiscal, Edgar Castillo, J.F. 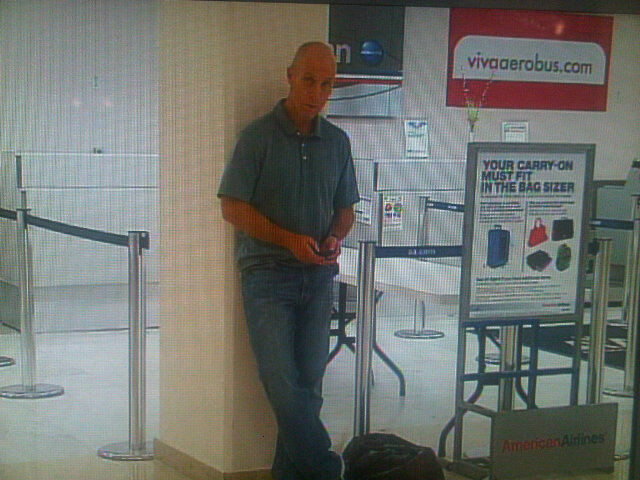 Torres) but he is also looking at this new resource to bolster a squad that had become quite stagnant under Bob Bradley. Do give credit to Bradley for calling up Jones and Chandler, we should acknowledge he started this German connection. As we near the upcoming friendlies, there are two missing pieces not of German descent: George John (centerback, recently signed by Blackburn of the EPL) and breakout Mexican-American Joe Corona. Both have chances to play for other national teams: Greece and Mexico, respectively. But there is only limited room in the US squad and marquee friendlies call for the best the team has to offer. More international matches are coming in October and later this year. For now, at least, the German connection is up and running.